Reports for management, compliance, and to monitor the users’ progress? Generate any type of user & site report from the activity log. 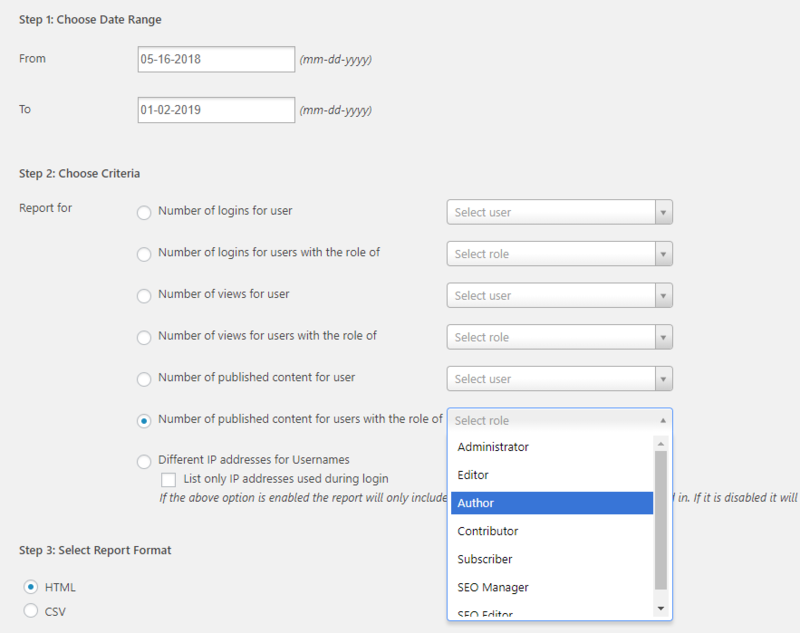 The WP Security Audit Log reporting tool does not limit you to built-in templates – configure your own criteria to generate the WordPress report you and your management require. 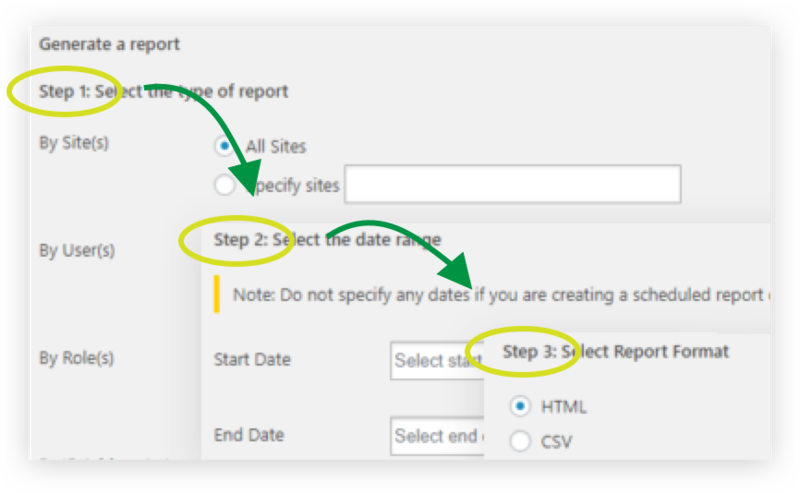 Generating a report from the WordPress security trail log is as easy as 1, 2, 3 – just specify the criteria and date. You can also generate statistics reports, such as a report that shows how many times a user logged in every day, or what pages a user has viewed over the last month. Criteria for statistics reports are also fully configurable. You already have too much on your plate and the last thing you want is to manually generate reports on a frequent basis. 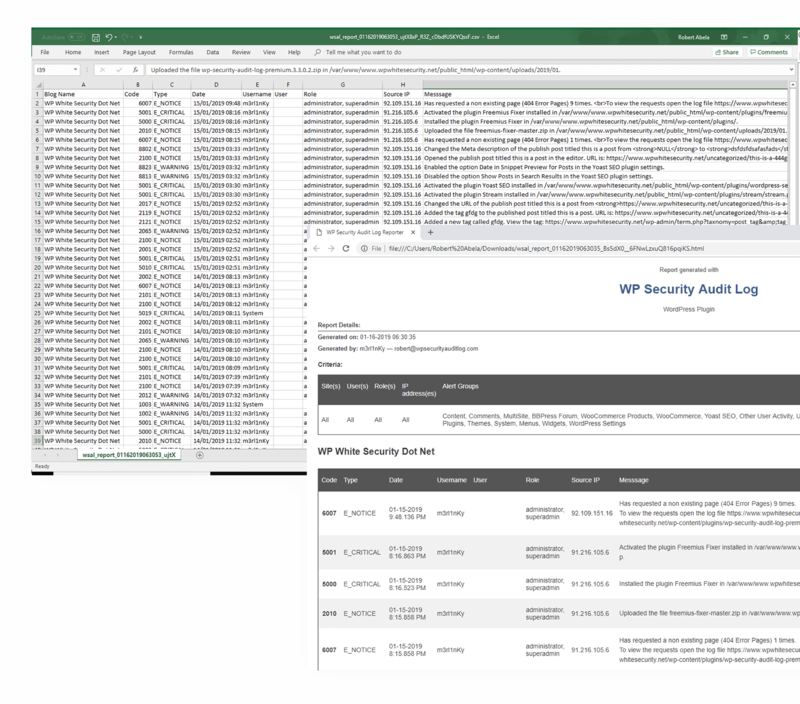 With WP Security Audit Log you can configure any type of daily, weekly, monthly or quarterly report and have it automatically sent to your inbox. Configuring scheduled reports is very easy – configure the criteria, specify an email address, report name and frequency. Job done! WordPress activity log reports can be exported to HTML and CSV formats. Generate a HTML report if it is to be read and for your management. 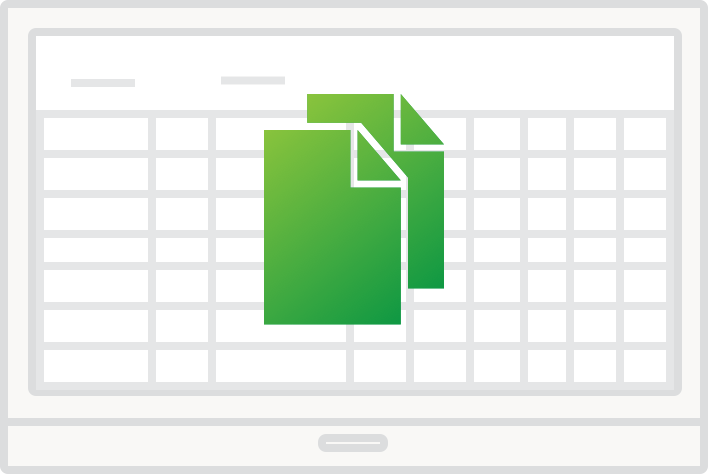 Export the report to CSV format if you need it for data analysis, and want to import the data to another system. CSV is a universally supported format and is very easy to work with. Upgrade to premium to also get the users management tools, SMS & email notifications, search & filters, activity log database tools and third party services integration tools.